American test pilot astronaut 1963-1972. Died of a heart attack. Status: Deceased; Active 1963-1972. Born: 1930-06-23. Died: 1987-12-01. Spaceflights: 1 . Total time in space: 10.84 days. Birth Place: Columbus, Ohio. PERSONAL DATA: Born in Columbus, Ohio, on June 23, 1930. Died on December 2, 1987 of a heart attack while on a business trip to Tokyo, Japan. He is survived by his wife Susan and their two children. Colonel Eisele had four children from a previous marriage. EDUCATION: Graduated from West High School, Columbus, Ohio; received a Bachelor of Science degree from the United States Naval Academy in 1952 and a Master of Science degree in Astronautics in 1960 from the Air Force Institute of Technology, Wright-Patterson Air Force Base, Ohio. ORGANIZATIONS: Member of Tau Beta Pi, National Engineering Society. SPECIAL HONORS: Received the NASA exceptional Service Metal, Air Force Senior Pilot Astronaut Wings, Air Force Distinguished Flying Cross; co-recipient of the AIAA 1969 Haley Astronautics Award; presented National Academy of Television Arts and Sciences Special Trustees Award in 1969. EXPERIENCE: Eisele graduated from the United States Naval Academy and chose a career in the Air Force. He is also a graduate of the Air Force Aerospace Research Pilot School at Edwards Air Force Base, California. He was a project engineer and experimental test pilot at the Air Force Special Weapons Center at Kirtland Air Force Base, New Mexico. In this capacity, he flew experimental test flights in support of special weapons development programs. He logged more than 4,200 hours flying time—3,600 hours in jet aircraft. NASA EXPERIENCE: Eisele was one of the third group of astronauts selected by NASA in October 1963. On October 11, 1968, he occupied the command module pilot seat for the eleven-day flight of Apollo VII—the first manned flight test of the third generation United States spacecraft. 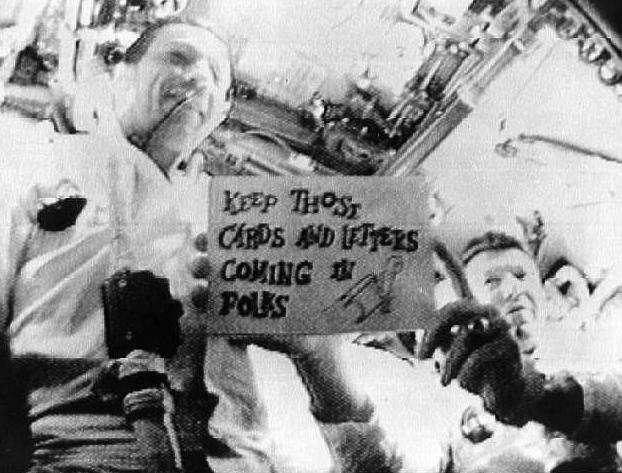 With spacecraft commander Walter M. Schirra, Jr., and lunar module pilot Walter Cunningham, Eisele participated in and executed maneuvers enabling the crew to perform exercises in transposition and docking and lunar orbit rendezvous with the S-IVB stage of their Saturn IB launch vehicle; completed eight successful test and maneuvering ignitions of the service module propulsion engine; measured the accuracy of performance of all spacecraft systems; and provided the first effective television transmissions of onboard crew activities. Apollo VII was placed in an earth-orbit with an apogee of 153.5 nautical miles and perigee of 122.6 nautical miles; and the 260-hour, four-and-a-half million mile shakedown flight was successfully concluded on October 22, 1968, with splashdown occurring in the Atlantic, some eight miles from the carrier ESSEX (only three-tenths of a mile from the originally predicted aiming point). He served as backup command module pilot for the Apollo X flight. Colonel Eisele logged 260 hours in space. In July 1972, Colonel Eisele retired from the Air Force and left the space program to become Director of the U.S. Peace Corps in Thailand. Upon Returning from Thailand, Eisele became Sales Manager for Marion Power Shovel Company, a division of Dresser Industries. Eisele handled private and corporate accounts for the investment firm of Oppenheimer & Company. BIRTHPLACE AND DATE: Eisele was born June 23, 1930, in Columbus, Ohio. EDUCATION: Eisele received a Bachelor of Science degree in aeronautics from the U.S. Naval Academy and a Master of Science degree in aeronautics from the U.S. Air Force Institute of Technology. EXPERIENCE: After graduation Eisele entered the Air Force. He flew jet fighters and became a test pilot, advancing to the rank of colonel. 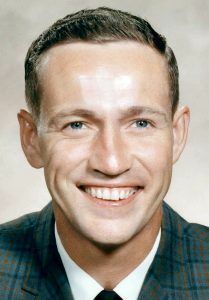 NASA selected Eisele as an astronaut in October 1963. On October 11, 1968, he, Commander Walter Schirra and Lunar Module pilot Walt Cunningham were launched aboard Apollo 7 - the first flight test of the redesigned Apollo after the first crew died in the Apollo 1 launch pad fire on January 27, 1967. The flight was a complete success and provided NASA with confidence to send the next Apollo crew, into orbit around the moon. However the crew suffered head colds and had numerous arguments with ground controllers. NASA management secretly decided that none of them would be allowed to fly in space again. In 1972, Eisele retired from the Air Force and left NASA to become director of the U.S. Peace Corps in Thailand. He later became sales manager for Marion Power Shovel Company and then handled private and corporate accounts for the investment firm of Oppenheimer and Company. Eisele died of a heart attack on December 2, 1987, in Tokyo, Japan. Family: Astronaut. Country: USA. Flights: Apollo 204, Apollo 205, Apollo 7, Apollo 10. Projects: Apollo. Agency: USAF. Bibliography: 5352. 1930 June 23 - . Birth of Donn Fulton Eisele - . Nation: USA. Related Persons: Eisele. American test pilot astronaut 1963-1972. Died of a heart attack. 1 spaceflight, 10.8 days in space. Flew to orbit on Apollo 7 (1968)..
1965 May 24 - . Zero-g tests of Apollo crew transfer - . Nation: USA. Related Persons: Eisele, Gordon. Program: Apollo. At Wright-Patterson AFB, North American engineers conducted zero-g tests of crew transfer using mockup 27 A. The two subjects, astronauts Donn F. Eisele and Richard F. Gordon, had difficulty manipulating the forward hatches and the drogue assembly. North American reported that handles might be required on those pieces of hardware. Tests simulating the shock of Apollo landing on the moon - . Nation: USA. Related Persons: Eisele. Program: Apollo. Using improved restraint hardware, Grumman resumed tests simulating the shock of landing on the moon. Investigators reported better lateral stability - and they no longer bounced off the floor. 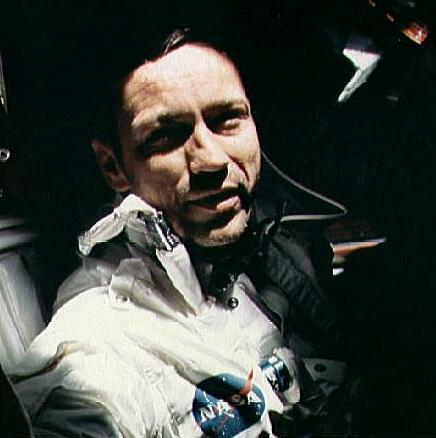 Astronaut Donn F. Eisele, who took part, judged the system superior to those used in earlier trials. 1965 June 14-15 - . Apollo LEM mockup used in mobility tests of the reconfigured portable life support system (PLSS) - . Nation: USA. Related Persons: Chaffee, Eisele. Program: Apollo. Spacecraft: A7L, Apollo LM. Using a LEM mockup at Grumman, and with the assistance of astronauts Roger B. Chaffee and Donn F. Eisele, engineers from Hamilton Standard performed mobility tests of the reconfigured portable life support system (PLSS). Crew Systems Division (CSD) reported that the reshaped back pack did not hinder entering or leaving the spacecraft; and while some interference problems were inescapable when the PLSSs were worn inside the spacecraft for any period of time, CSD believed that damage could be prevented through training and by limiting movement by the crew. Grumman, however, contended that the newer PLSSs had "serious implications" for mobility inside the LEM. 1987 December 1 - . Astronaut Donn Fulton Eisele dies at age of 57 -- Natural causes - Heart attack. - . Nation: USA. Related Persons: Eisele. American test pilot astronaut 1963-1972. Died of a heart attack. 1 spaceflight, 10.8 days in space. 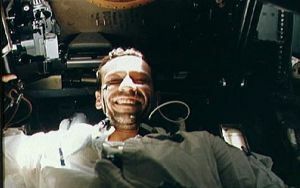 Flew to orbit on Apollo 7 (1968)..